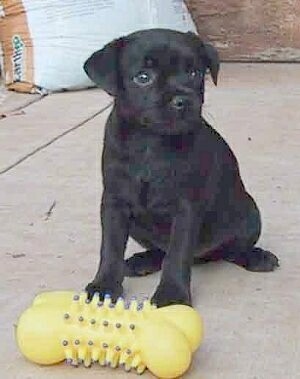 The Patterdale Terrier is a laid-back terrier, not as yappy as some other terriers. It enjoys "curling up at the heating duct" in the house. Although the Patterdale Terrier's small size could qualify him as a toy dog, his abilities and gameness deem him as a solid terrier; his determination and toughness demand his inclusion in the mastiff group. They are game and tough when hunting. Hunters often take three or four dogs with them on an outing. The Patterdale Terrier is a good watchdog. This is not a dog for the non-terrier fan or the faint-hearted. The Patterdale Terrier is a robust, independent hunter bred solely for functional services as a ratter and hunting companion. Its Bull Terrier bloodlines make it too fierce to work as a hunter with pack hounds. They are particularly hard and persistent. Many Foxhound owners would not thank you for attempting to bolt his fox with a hard-bitten Patterdale, for the dog is more likely to get hold and have a go, possibly kill the fox rather than allow him to bolt, thus spoiling the hunt with the hounds. It is an excellent digger, intently willing to encounter and attack any mammal that has gone to ground. The fells of the north country, with the protection afforded foxes in borrans, rock tip, mines and scree, created the need for a hard terrier able to scramble over the terrain and fearless enough to go to ground. The Patterdale filled, and still does, fill that need. The interest of local breeders ensures its survival. The breed is not easy to obedience train. The Patterdale should not be trusted with non-canine pets. Be sure to be this breed’s firm, confident, consistent pack leader to prevent behavior problems from developing. Not recommended for the average pet owner. They need to have their minds challenged along with plenty of mental and physical exercise. If they sense you are not as strong minded as they are, they will believe they are alpha and the humans will run into issues. Do not allow this dog to develop Small Dog Syndrome. This small-game hunter is a working dog and needs a lot of exercise. 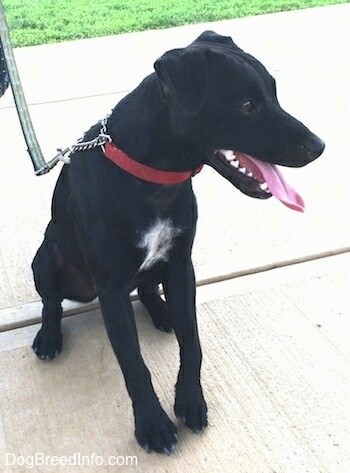 Your dog needs to be taken on a daily, brisk, long walk or jog. While out on the walk the dog must be made to heel beside or behind the person holding the lead, as in a dog's mind the leader leads the way, and that leader needs to be the human. Exercise and a hardy stock of prey are the recommended ways to satisfy his hunting cravings. They are inactive indoors but a bundle of energy outdoors. They love to run and will enjoy going hiking with you. At one time, different strains of terrier existed in each isolated village in the north of England. Breeding to Kennel Club standards reduced this great variety, but some remote region's unrecognized breeds continued to flourish. 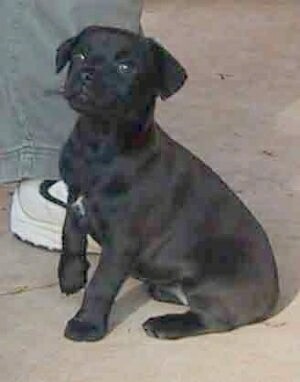 The Patterdale is one of these breeds. Virtually unknown outside Great Britain, this breed is generally found in Great Britain's Lake District and in Yorkshire. 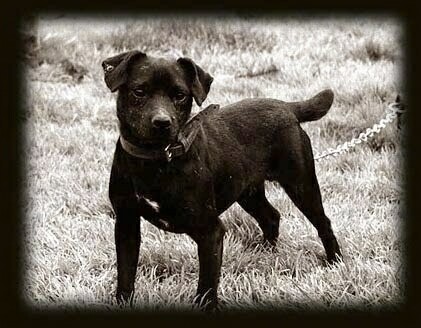 The name Patterdale was chosen after the village in Cumbria, where the dogs were common. Used as a rat, fox and rabbit hunter, the Patterdale Terrier is not bred for appearance, but rather for its working ability. One breeder says that show conformation is so trivial that, were it the case, a dog could work better with two heads, "we would select immediately for that trait." 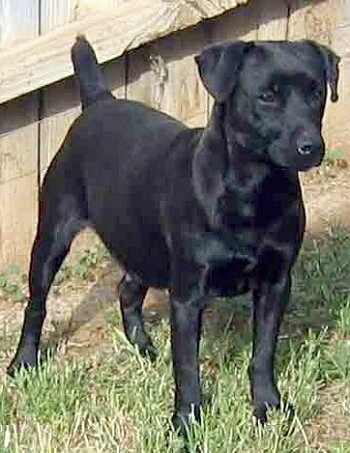 The Patterdale was first brought to the USA in 1978. In the USA the dogs hunt anything with fur from woodchuck (groundhog), fox, raccoon and even badger. An American Patterdale suitably named "Rocky," a flyweight at 13 pounds, recently drew a 34-pound (16 kg) badger!